The first half has been successful; the second half will be tough. Bears Charles Tillman has had a monster first half. The Chicago Bears have eight down and eight left — games that is. With a 7 and 1 record the Bears are enjoying their view from the top of the NFC North. Here&apos;s what&apos;s working and what is down the road. When the season opened in September the feeling was the Bears aging defense would have to be bolstered by the somewhat revamped offense: Urlacher was coming off knee surgery, Tim Jennings was almost an ex-Bear after his 2012 performance, the safeties were questionable and Tillman, Briggs, Urlacher and Peppers have years of wear and tear on their collective bodies. This Bears unit has played at a very high level; Jennings leads the league with six interceptions, Urlacher is not what he was, but is still contributing, Peppers is the glue to the defensive line and is doubled-team on nearly every play. That frees up the rest of the line to pressure the quarterback; Briggs and the rest of the defense dominate against opposing running backs and Tillman is having a monster season. His forced fumbles and his ability to cover receivers are a challenge for all the offensive coordinators in the league. The defensive line rotation allows for rest and using players&apos; strengths — Stephen Paea, Henry Melton, Israel Idonije, Wooten and Peppers are making huge contributions. Rookie Shea McClellin has fared well on passing downs. With the line&apos;s play, it has enabled the Bears safeties the space to play the "Tampa 2" defense and make adjustments when needed. Already this season the Bears have grabbed NFC defensive player honors, Jennings for September, Tillman for October and Urlacher defensive player for this past week. This Bears defense is a feared group right now and they will be tested on Sunday against the Houston Texans. It&apos;s hard to imagine the Bears have a receiver actually playing at the level of his capability, but that is exactly what Brandon Marshall is doing. What an absolute steal by General Manager Phil Emery for two third-round draft picks. The rapport between Marshall and his QB Jay Cutler is elevating each and every game. Cutler is still dealing with an offensive line that has many issues, although Lance Louis is really making big strides. The Bears are still making a concerted effort to get the ground game going for Matt Forte. Rookie receiver Alshon Jeffery was a nice complement to Marshall until he broke his hand. His return may be in the next few weeks. The rest of the receivers, particularly, Devin Hester has struggled. 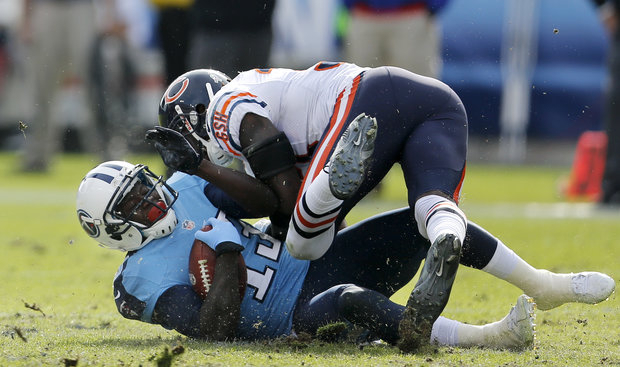 Earl Bennett was hampered by injuries and has had some key receptions the past two games. The offense has not gotten on track to start the game, different story in the fourth quarter where Jay Cutler has a 135 passer rating that leads the NFL There is no doubt the chemistry between Cutler and Marshall has made them on of the best quarterback-receiver duos to be reckoned with in the league. The Bears offense has been aided by the scoring defense, but they are looking for more balance. Year in and year out, Coach Dave Toub continues to have this unit thrive.Their coverage has been outstanding and Robbie Gould is still one of the league’s most reliable kickers. If there is a concern, it has been with Devin Hester. His role has switched from concentrating on returns to limited receiving plays, to more snaps on offense after Jeffrey&apos;s injury. Last Sunday it was important for Hester to have a punt return that almost scored. He needs success to build on. Last week the punt block by Sherrick McManis was a big play that earned him NFC Special Team Player honors. Just before the season started the Bears dealt Tyler Clutts to Houston for McManis-sometimes a small deal pays off. Houston on Sunday, followed by San Francisco the following week give the Bears two difficult opponents to start the second half. They also have four divisional games left on the schedule. Health will be a factor — don’t forget the Bears were 7-3 last year when Cutler’s and Forte’s injuries ruined playoff hopes. 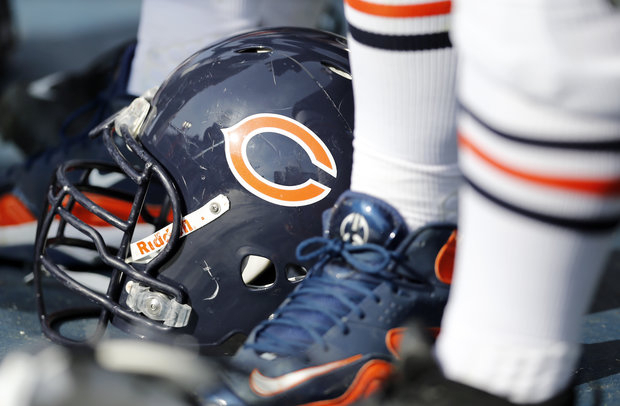 The Bears do not want anything derailing their post-season chances. They have a strong opportunity to do something special — and they are half way there.